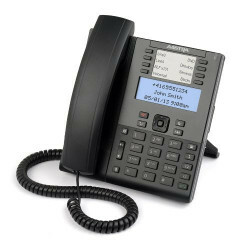 Aastra designs and manufacturers a complete line of IP phones for the smallest business or largest enterprise. 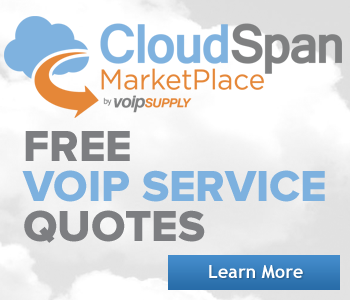 Aastra VoIP Phones are built upon open standards, supporting the SIP standard and the most common voice codecs. The full range of Aastra IP phones are interoperable with today's leading VoIP phone systems such as Asterisk, FreeSWITCH, trixbox, Switchvox and of course Aastra's own Aastralink Pro system. 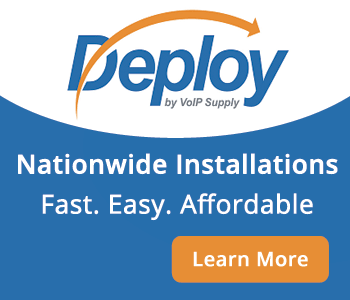 At this time, all Aastra products at VoIP Supply have been relabeled and transitioned over to the Mitel brand. 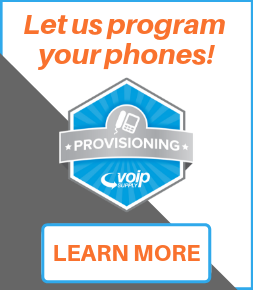 By visiting the Mitel VoIP Supply Site , you will be able to find the VoIP products that you were looking for under the Aastra label. They may look slighlty different, as most products have been updated, and they may contain a different brand name, but, rest assured, that the quality of the Aastra line has been maintained and even enhanced with it's transition to the Mitel label. Increased mobility - products such as the 6757i CT allow for wireless coverage up to 300,000 square feet! 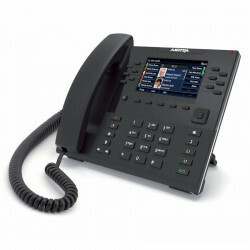 The Aastra 6863 is a 2 line HD voice entry level VoIP phone in the Aastra 6800 series of powerful and modern phones. Designed with professional workers in mind the 6863i features a 2.75" monochrome pixel display, 3 programmable keys and Dual 10/100 RJ45 ports. The Aastra 6865 is a 9 line HD voice VoIP phone in the Aastra 6800 series of powerful and modern phones. With support for up to 3 expansion modules, Dual Gigabit Ethernet ports, and 8 programmable keys the 6865i has been designed for the small to large business market. The Aastra 6867 is a 9 line HD voice VoIP phone in the Aastra 6800 series of powerful and modern phones. 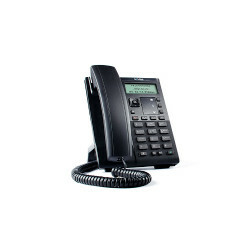 The 6867 supports many advanced business telephony features including a color 3.5"QVGA display, DHSG/EHS headset support, and support for up to 3 expansion modules. 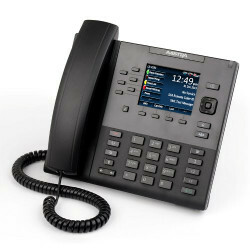 The Aastra 6869 is a 12 line HD voice VoIP phone in the Aastra 6800 series of powerful and modern phones. 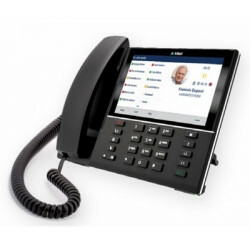 The 6869 features many advanced telephony features including a large 4.3" color display, 12 programmable soft keys and an optional detachable magnetic full QWERTY keyboard. The Aastra 6873 is a full-featured executive level phone that supports up to 24 lines and features a 7" touchscreen display. With enhanced wideband audio and speakerphone, the Aastra 6813 is a phone designed for users who expect great things from their phones. 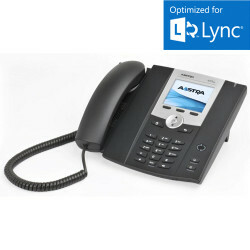 The Aastra 6725 IP phone is optimized for Microsoft Communicator. The Aastra 6725ip supports a Gigabit Ethernet interface which when connected to Microsoft Communications Server "14", it becomes a powerful Unified Communications (UC) device. This new Aastra phone enjoys the same exceptional voice quality and proven Aastra reliability in a stylish global design.